How Much Does Double Glazing Cost For Your Home in 2019? Double glazing costs are hard to find online, with many installers electing not give you a price until a home visit. This is due to the fact that the cost of double glazing will change depending on the type of window you need, how many windows you will install and other factors which are explained in just a second. However, this guide will help to give you some solid ballpark estimates. UPVC frames are cheaper, but last an average of 15-20 years, vs wood frames, which last 30-100 years. Ready to find the cheapest double glazing prices in your area? Click here to compare quotes. What’s included in a double glazing quote? How long does it take to install double glazing? What warranty should I get with double glazing? What’s the long-term cost of maintenance for double glazing? Can I get double glazing from a manufacturer? Double glazing can save you money, and the 6 in 10 homes in the UK who already have it installed agree. Unfortunately, if you still need double glazing, it can be difficult to find accurate quotes online. While you likely pay an average of about £300-1,500 per window, the price can change drastically depending on your home, your windows, the glass you choose, and other factors. That’s not good enough. So we surveyed 11 local and national double glazing installers for prices, the most expensive and cheapest removed for accuracy and the remaining 9 were averaged to get the price below. The specification was for a 5 window installation, however due to the fact that most installs are for a different number of units, the price shown is an average per window. Standard uPVC double glazed window unit. Installed with warranty. Ready to get accurate double glazed window costs in your area? Compare the top 4 local quotes by clicking below! Your double glazing quote should include pricing for every detail of your installation. This means that you should know the size, type of glass, type of frames, colour, and details about your home. Most installers will give you a quote based on your home, the height of your installation, and the actual installation and fitting. It’s also important to double check your quote to ensure that the frames, glass, installation and fitting, and specific home details are included. You Need an Inspection – If you want a 100% accurate quote, you need an inspection. Most installers will base at least part of their rate on the difficulty of the installation, so no online quote will be 100% accurate. Compare initial quotes online, and then follow through with an inspection to avoid surprise fees. Double glazing prices vary a great deal based on manufacturer, brand, glass, frame, window type, and other details. It’s important to know what you’re paying for so you can make the best decision for your home and your budget. Glass – Glass comes in every price range, from budget glazing that will cost less than £150 for a small window to designer glass that will run you over £3,000 for the same installation. It’s important to know what you’re paying for. Ask you installer what glass they are installing and why. K-Glass is one of the most common options, because it allows heat from the sun in. Toughened Glass – If your windows are within 80cm of the floor inside or 30 cm within a door, they must be fitted with toughened glass. This will add to the price. Frame Material – Window frame materials affect costs more than almost any other factor. It’s also one of the most important considerations. For example, UPVC windows are the cheapest and the most common in the UK. But, while about 80% of U.K. households with double glazing have UPVC frames, UPVC only lasts 10-15 years. Aluminium and wood frames, which can cost twice as much can last 30-100 years. You can expect the following price ranges for a 60 x 90 cm casement window. Window Type – The most popular double glazing windows are casement, sash, tilt turn, and turn dial. Casement windows are the cheapest and therefore the most popular. Generally, sash windows can run as much as twice the cost of casement windows. Bay Window Double Glazing Costs – Bay windows typically start out at around £1,000 for even single section windows, but become much more affordable with additional bays. Check the following chart for the average costs of UPVC bay windows. Window Size – The larger your window, the more you will pay. For this reason, you should know the size of your windows, the number of panes needed, and the size of each pane when you go to get a double glazing quote. Brand – Some brands are more expensive than others. For example, Anglian, Everest, Safestyle UK, and Zenith all offer top quality windows and have a good reputation, but they do cost more than a small local installer will. Energy Rating – According to the Energy Savings Trust, a three-bedroom home can save between £75 and £100 per year with B-rated glass and £85-£110 per year with A-rated glass. Unfortunately, better glass does mean more expensive glass. While most installers will offer higher energy ratings, it’s important to pay attention to the rating. A+, A or B rated glass will save you money, a G rated glass most likely won’t. Home – A good installer will give you a quote based on your home. Why? It’s much more difficult to install windows above ground than at ground level. If your windows are two or even three stories up, expect prices to double. Custom Sizes – If you have very old window frames, you may have to pay extra for custom frames and glass. Standard UPVC casement frames are the cheapest option for any installation with the lowest prices starting at about £250, but average prices ranging at about £300. You can try to get a better deal by replacing all your windows at once. UPVC also doesn’t last as long, so you should expect to replace it within 20 years. Wood frames cost twice as much, but last up to 5 times as long. Secondary Glazing – Secondary glazing can be a great way to save money if your existing frames and glass are in good condition. If your glass is less than 10 years old, secondary glazing allows you to add another layer of glass behind it to add to the insulation. This is cheaper than double glazing, but costs vary. Retrofitting old frames – If you have new frames or they are in very good condition, your installer may be able to retrofit your new glazing into the old frames. This should save you quite a bit, but costs will vary. Comparing quotes to get a better price – It’s important to take the time to do your research and compare at least 3 different installers to get the best price. Double glazing installations are highly competitive, so you can greatly reduce the cost. Double glazing can save you an average of £75 to £110 per year for a 3-bedroom home, and more if you live in a larger home or currently have very old windows. You can check your quote, do the math, and find out what you will be earning to decide if they are a good deal. However, this does require knowing the age of your current windows, the size of your home, and how much energy you use. It’s important to discuss your home and specific needs with your installer to get a quote. You also shouldn’t rely on any quote given without a full home inspection. It’s also important to get a quote rather than an estimate. In most cases, an estimate can vary as much as 10% from the initial listed cost. 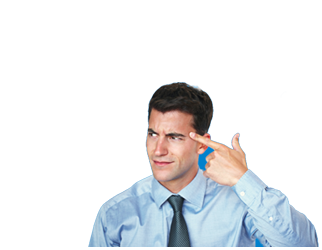 A quote is a fixed rate agreement, bound by the legal agreement of the contract. In most cases, it is illegal to charge more than listed on a contract without discussing the extra costs with you before continuing work. For example, if the installer learns that your window moulds are rotted during installation, he can discuss replacing them with you during the installation, but cannot replace them and charge you extra later. 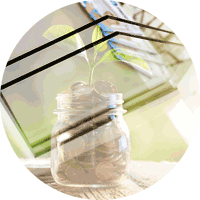 Green deal grants for double glazing – Many households qualify for government assistance for installing double glazing through Green Deal. You can contact a local Green Deal assessor or provider or use the energy grants calculator to find out if you qualify. Installation times vary depending on the type of window and the size of the glass. In most cases, standard casement or tilt and turn windows will be installed within 10-14 days after the contract is completed. Actual fitting should take about 8-12 hours, unless you have an exceptionally large number of windows. Survey to provide firm quote: 1-2 hours.. Measuring windows and openings: 1-3 hours. Fitting and sealing the windows: About 1-2 hours per window. Cleaning up debris and tools: 2-3 hours. A good window installer will be able to install 12-15 windows per day, including setup and debris removal. In some cases, installation will take longer, especially if you have a multi-story home. The manufacturer and the installer should offer a complete warranty, covering nearly everything that can go wrong with your double glazing. By checking to ensure that your windows come with a good warranty, you protect your investment. Hardware 10 Years Guarantees the fixtures such as frames, handles, sashes, etc. Most double glazing should not include any maintenance other than regular cleaning until the warranty period is over. This should be more than 10 years in most cases. You can expect to pay an average of about £100 per square meter for resealing, defogging, and other window repair. However, this is almost certain to change over the next 10 years. If you are experienced enough to install windows yourself, or know an installer who can handle the fitting for you, you can purchase double glazing direct from manufacturer. However, it typically costs more to pay an installer separately to install glazing you have purchased yourself. You can usually expect to pay about £199 for a 60 x 120 cm double glazing window with a UPVC casement frame direct from manufacturer (about a £50-100 savings). Can I install double glazing myself? – Installing windows is complex and requires some level of skill as the windows must be carefully sealed to work properly. Fitting windows yourself also means running the risk of a breakage without insurance, which could cost you more in the long run. In most cases, if you have to ask, you probably aren’t qualified to handle the installation yourself. Getting quotes by yourself can be nerve wracking and difficult, especially when you deal with high pressure salesmen. Unfortunately, not all double glazing installers are ethical, and many will try to get as much as-is possible from you rather than giving you a fair estimate. Your best option is to be confident, know what you want and why upfront, and already have a good idea what windows of that size and type should cost. You should also have several other names or quotes from other installers on hand, which you can use to lower the rate and get a better price. If it’s a “this day only’ price, it’s a scam. If you know how big your windows are, what they should cost, and what other companies are offering, you’re already well on your way to getting the best price on double glazing. Know your windows – Measure your windows, decide what frames you need, check how many windows you have and at what heights, and consider the type of window. The more you know in advance, the easier it will be to get a good price. Compare quotes – The more quotes you compare, the easier it will be to find a better price. Check prices for your installation – What’s the average cost per window for the windows you want? Get an inspection – Make sure you understand all possible costs, that you are getting a final quote with your contract, and that you understand everything included in the costs, and what’s extra. Take your time – The average double glazing contract takes 2 weeks to close. Reputable companies will give you time to consider your budget and your needs. Installing double glazing can save you money on your heating and cooling bill, but it’s important to get a good price. If you want to see money back, you must reduce the initial cost as much as-is possible. If you’re ready to get started with your double glazing installation, or are just curious to see what it would cost in your area, use our free tool to find and compare double glazing quotes in your area. We will contact local double glazing installers and request a competitive quote, and then forward you the best three so you can choose, with no obligation. With competitive quotes, we can reduce the cost of installation as much as 37% for some homeowners.